My fridge is out of fruits, forgot to get some over the weekends. They boys had onigiri, meat patties and veggie rolls for lunch. Used Pandan bread for this, the pink portion is kamaboko. 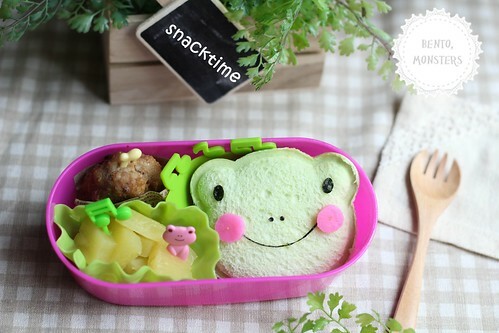 The sandwich is shaped with the Panda sandwich mould. Managed to dig out 2 slices of pineapple from the fridge. -_- Jam filled bread, pineapples and meat patty for snack in School. 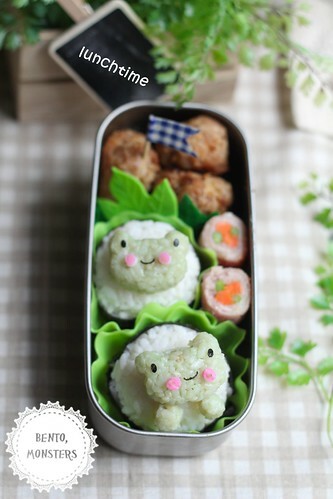 What a coincidence, I made a forg bento the weekend that I'm gonna post later. 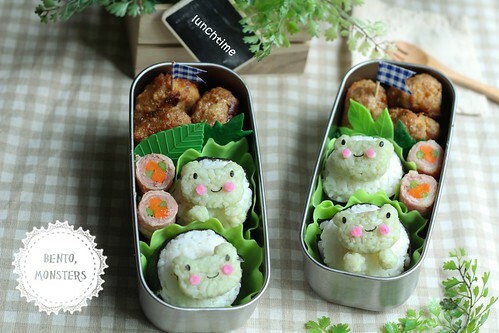 The little frogs are so cute over the rice balls, I like the idea ^^ And the panda sandwich again. So useful! Tks! Yucks, I hate real frogs, lol. 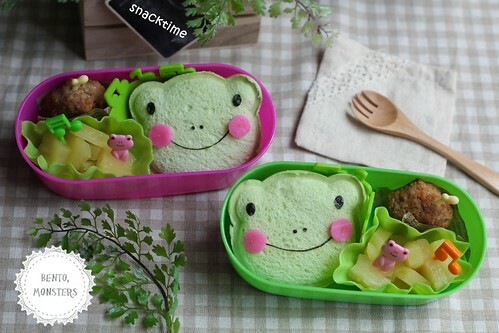 Adorable frogs, the onigiri and bread both turned out to be great :) I miss pandan bread so much, it is difficult to even find pandan leaves here.